The Living Legends series from 4Friends Games has just been updated with a new release, Living Legends: Uninvited Guests Collector's Edition. It is a new fascinating adventure with a lot of challenges along the way. 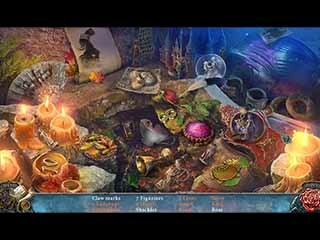 Explore this new hidden object puzzle adventure game for yourself to see if you can outsmart the Beast. You are running late to your cousin's wedding. But it turns out that it is actually in everyone's best interest because the whole castle has now got captive to a Beast. The gameplay is pretty good considering the number of games being released daily. You team up with a mysterious hunter to find a way to get into the castle and rescue all the guests and servants before they themselves become a feast for the Beast. This version of Beauty and the Beast has a bonus chapter where you rescue Beatrix from a horrible revenge. The gameplay is pretty good considering the number of games being released daily. The game doesn't feel like a copy of a copy of a game you once played. There is a squirrel that helps you every now and then and appears a lot, but it does not follow you every step of the way. Look for a morphing object and two owls in every scene. The puzzles are fun to play even though they are not very challenging. 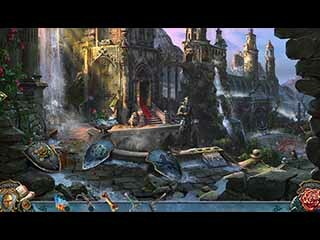 The hidden object scenes come in different forms, most of them are interactive lists. It is a great new release in the hidden object puzzle adventure genre that you don't want to miss! This is Living Legends: Uninvited Guests review. Download this game here.